It is not uncommon that money is doled out in thousands or even lakhs during an election. The BBMP council elections are no different. Just as voters are wooed by candidates, the media aren’t spared either. Citizen Matters experienced this first-hand during the last few days with candidates from three mainstream political parties offering money to be written about. At the time of interviewing a candidate, one of the first questions you are asked as a reporter is, "How much do you charge?" or "Do we have to pay for this interview?" When one replies in the negative, it would be an understatement to say that the look on the face of the candidate/party worker/campaigner is that of shock. 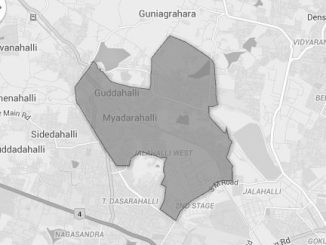 Take the case of a candidate contesting from JP Nagar (Ward 177). This first-time candidate was soft-spoken and explained at length about his two decade association with his party. Just as I was about to leave, satisfied with the interview, one of his aides walked up to me and asked if I needed to be dropped off anywhere. I pointed to my two-wheeler and thanked him for the offer. As he continued to speak in hushed tones, I realised he was trying to slip me a bunch of 100 rupees notes neatly folded in his palm. "Nimma expenditurege, madam", he said sheepishly. I maintained my calm and refused to take the money from him. I tried explaining to him that Citizen Matters is a news magazine and that we do independent journalism which does not include paid news. He continued to try giving me the money, insisting quietly that I take it. I repeated myself, saying I was only doing my job and cannot accept any money from him. He finally got the point and backed off, apologetically saying, "Thappagi anko bedi", meaning "Do not take it the wrong way". I smiled, more embarrassed than he was for having been a part of this little scene. As I gathered my thoughts about what just happened, little did I realize that there was more in store. Less than an hour later, I was again offered money by a party candidate contesting from the same ward, JP Nagar. The interview with this gentleman also went off quite well. He introduced me to his family, all of who were courteous and hospitable as I sat in their home, speaking to the politician in the family. Again, as I prepared to leave, he made the move. But he wasn’t as discreet as the previous candidate. Standing on the road, with no one near us, he pulled out wads of 500 rupees notes from his pocket and asked me, "Hana yenadaru kodabeka?" I just said no and left the place. These are just two examples of what is a larger problem in not only the city’s political circles but also in the very functioning of certain media organizations. Most do not even think there is anything wrong in paying a news publication to write about them. That’s how rampant it is. A supporter of an independent candidate recently asked me, "Do you not take any money to write about the candidate?" When I replied in the negative, he asked, "O, are you a social worker then?" This inspite of explaining to him that Citizen Matters is a regular news magazine. Even as I explained to him that it is not the business of any news publication to accept any kind of benefit for writing about a particular person, group or organization, the supporter looked at me in shock. I went on to tell him that we are all paid employees with our respective companies but he didn’t seem to be able to connect the dots. He asked me, "How do you make money then?" "Advertisements, of course", I said. I do not blame this particular supporter for the questions he asked. That’s the impression that many people have, on how the media works. A similar incident occurred with a party candidate contesting from Sarakki (Ward 178). After the interview, the candidate’s spouse and campaign coordinator repeatedly asked me if they need to pay me for the interview. They went on to add, laughing all the while, that they are ready to pay money even if we don’t ask for it. The two of them gave me a copy of a local Kannada publication in which there were several reports, profiling some of the candidates. They told me that they had paid for a report on their party candidate on the front page. Again, as I tried to explain the whole ‘independent journalism’ bit, it seemed to fall on deaf ears. They continued to insist that I print their candidate’s interview on the first page of Citizen Matters‘ upcoming print edition on March 27th. And then there were those who didn’t make an outright offer to pay but enquired if they need to give any money for the interview. If a development project on a single road could completely destroy quality of life for residents, it must be this one: BBMP’s project at JP Nagar’s Puttenahalli Main Road. Would you like to ask the government to earmark funds to sort out specific civic issues in your neighbourhood? This is your chance to let them know. Four candidates contesting the elections from Ward 12- Shettihalli came together to discuss the issues of funding, drinking water and women’s empowerment. Here’s are excerpts from the debate. Ms Vittal has brought honour to her profession. May she be the model for all journalists in India. I am awestruck for two reasons. She flatly turned down the natural down-payment on a positive story about the candidates in question. Second, more importantly, she had the courage to expose what appears to be a widespread venal phenomenon among her fellow professionals. The fairytale-like narrative about generous offer of money in exchange for a positive spin on the candidate is most disheartening. I get the impression that journalists are on the take like so many others. It puts into question the veracity of any story that I read in the newspapers, listen to on the radio, or watch on TV. A liberal democratic society depends upon honest reporting and that is why reporters are called members of the Fourth Estate. If a reasonable person cannot rely upon fair and accurate reporting what is the point of reading, listening, or watching? Sad indeed that things have come to such a pass. CM deserves high praise for giving the reporter freedom to call the shots as she saw them and publish her findings. May CM become the sentinel of truthful reporting in Bangalore. CM and Vittal are the hope for a new India. You guys are really doing a great job. Independent journalism must function as the back bone of civil societies. We need to work together as grass root catalysts to bring out a radical evolution (not revolution). What we need is a complete life style engineering. Believe me I would never blame the candidates for their behaviour, their just paying for a good advertisement. Just like all the brands and the corporations who pay to advertise their adds that evangelize the authenticity and quality of their products and services. The sad thing is that bribe has become a part of our tradition, a part of our culture and the only way to stop this is by doing what you did, viz. all of us need to develop an attitude that you have. Thank you for keeping the honor of independent journalism alive. Sad that journalists who were once considered icons of honesty are now considered purchasable. Even today our movies show journalists as fearless and incorruptible people, along with soldiers. The rot is all because of the path-breaking ‘new journalism’ invented by a single publication. Very brave act! Good for you. You not only did the right thing by not accepting the money, you also did the right thing in making them aware about the ‘Independent Journalism’. However, It may not matter to them much because all they need is publicity. So they do not mind spending money in anyway they can. But it is left to the code and ethics of the media company to accept it or not. Obviously CM is setting its standards right with the responsible and bright journalists in the team. Keep up the good work!